If you want the actual specs of the Parblo Coast22 visit their website. This review is mainly focused on my personal experience of using the monitor since I have nothing but my WACOM Intuos to compare it with. Pablo Coast22's non powered stylus. 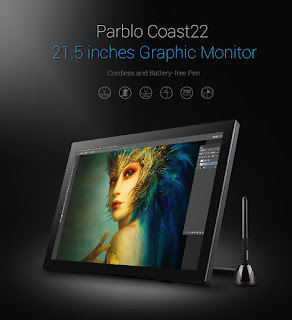 The other main criteria I had for choosing the Parblo Coast22 is that it's one of the few Pen Display Monitor competitors to WACOM that comes with a non powered stylus. You might think that's not such a big deal but I like to know that I'm going to be able to draw whenever I want for as long as I want without ever having to recharge or replace a battery. The stylus comes with extra nibs, a nib remover - all contained in the stylus desk stand. The stylus its self has a triangular shaft which can feel a little odd at first but I like it. Mainly because it helps ensure the button on the side is always in the right spot when I pick it up. With my WACOM stylus I was forever having to correct my grip so the button was on the top. 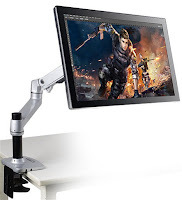 I bought this Pen Display Monitor as part of a package deal that included a desk mount adjustable swing arm stand (and still under AU$1000.00). If you have very limited desk space like me (see my actual desk set up with two other monitors in the image further down) the swing arm allows me to easily move the Pen display from drawing table back to straight, vertical monitor in seconds. The included stand that comes with the Coast22 is fine if you're going to leave the monitor in one spot but it's not practical to use a pen display as a monitor only in the drawing position. The swing arm eliminates all these issues as the cables can be channeled down the interior of the arm, which also takes the weight of the monitor, making it a breeze to move around. Not too big an issue. 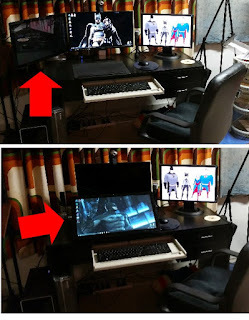 It just means, when I plan to use the Pen Display I have to go into my Graphic Card control panel and switch one monitor over. I could just remove one monitor entirely from my system but I like them too much - and both have better color and are brighter than the Pablo, even if that is set to full brightness. Through the course of researching Pen Displays I read that people sometimes encountered issues with WACOM drivers conflicting with other Pen Display drivers. In light of that, I made sure my Intuos drivers were completely removed from my system before installing the Pablo drivers from the CD. I've also read some people have had no issues with both WACOM drivers and other Pen Display drivers installed so, whether uninstalling the drivers was necessary or not, I don't know. The fact is the Pablo Drivers installed with no problems and everything worked fine (once I worked out I needed the USB cable connected too). Monitor into such limited space. In general, it's been great so far. I feel the color and brightness of the Coast22 isn't quite as vibrant as the promotional images would have you believe but it's completely fine. It's possible you don't want a monitor, that you're sitting so close to, to be too bright just for eye safety reasons anyway. In comparison to my WACOM Intuos I would say it's just as responsive. Both have more than 2000 levels of pressure sensitivity but this isn't something I've exploited a lot. Much of my work is sketching and then converting my art to vectors where pressure sensitivity is not necessarily vital. What I do miss from my Intuos is the programmable side buttons and control ring, which enable you to draw with one hand and control things like zooming and rotating the canvas with the other. The Pablo Coast22 is all screen with no programmable buttons. Whilst you can use your spare hand with your keyboard it's harder to locate an entire keyboard to a comfortable position alongside the monitor whilst drawing. 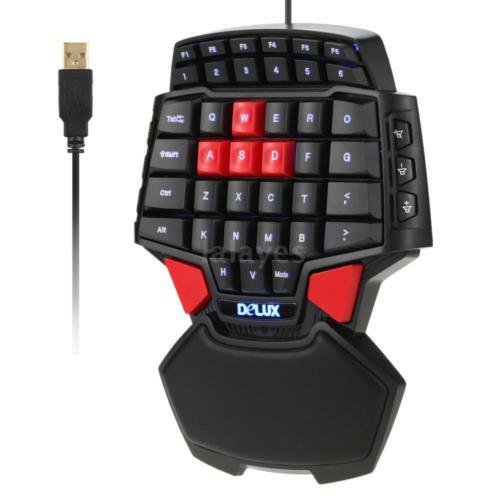 To resolve the issue I've purchased a cut down 'gamer' keyboard for under AU$40.00 (pictured) that sits comfortably to the left of my pen display when drawing. As my very first pen display monitor I'm extremely happy with my purchase. 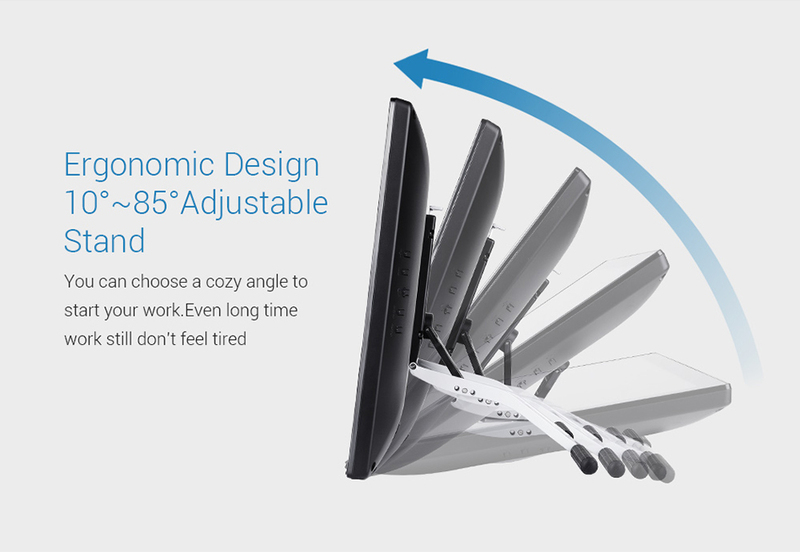 I have no doubt an equivalent WACOM Pen Display Monitor would probably blow the Pablo Coast22 out of the water but at least four to five times the price it should. As a light user of this kind of display, where the majority of my work is sketching out ideas rather than creating finished art, the Pablo Coast22 is more than capable. The color and brightness could be an issue if this is critical to your work. I've spent time trying to get these to match my other monitors without a great deal of success. I can't get it as bright or as vibrant. Which is not to say it's bad - it's good enough and mostly a non issue for me. Perhaps other pen display monitors are the same purely for the eye safety reasons? 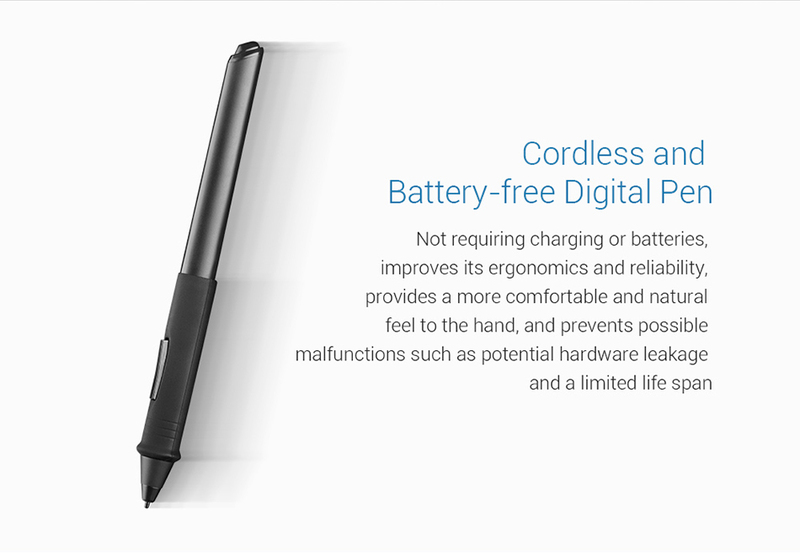 I haven't had any issues with the responsiveness of the stylus or the fact that it is triangular in shape. I enjoy using it and am very happy it doesn't require power or batteries. Overall I'd recommend the Pablo Coast22 to anyone looking to buy their first Pen Display Monitor or wanting to upgrade to a larger monitor but still on a limited budget. If you've already experienced a WACOM pen display monitor of any kind this could feel a little like downgrading. I can't say for sure. All I know is that it is definitely an upgrade from a WACOM Intuos 4 Drawing Pad Tablet.